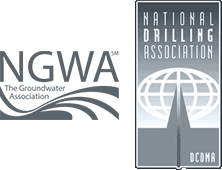 Limited Access Drilling – Connelly And Associates, Inc. Drill sites that have limited or restricted access are often characterized with a unique set of challenges that can require specific rig specifications for completing the work. When scheduling a limited access project, it’s important to schedule a site visit as every inch counts when putting together the drilling program. There are safety concerns when drilling in limited access sites that are not always an issue when completing standard drilling projects as well. Planning, preparation, and experience are all key to successful completion of limited access jobs. Connelly & Associates, Inc. drills their limited access, low clearance projects with an electric powered Acker Soil Scout. The Acker Soil Scout is a track mounted drill rig capable of drilling the toughest of limited access projects. With a travel height of only 6’, it’s able to maneuver under the lowest of ceilings for those parking garage jobs. The rig can be disassembled to fit through a 48” doorway or gate through alleys or behind houses. With a combination of power and efficiency, the Soil Scout is the perfect rig for your limited access site.